Below are the list of video slot games that are on the 16 various IGT Game Kings – Multi-Games. Click on the picture or title of the game and a picture with a description of the game will appear. IGT Black Rhino This game is on the Game King 3.0, 4.3, Game King 6.3 and Super Star Poker. IGT Cleopatra 9 reels – This game is on the Game King 5.0, Game King 6.3, and Super Star Poker. IGT Diamond Mine – This game is on the Game King 3.0. IGT Double Bucks – This game is on Game King 3.0 Game King 6.3. and Super Star Poker. 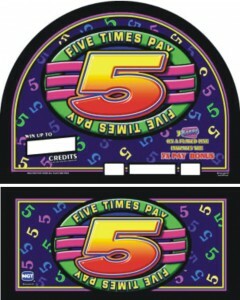 IGT Five Times Pay 3 reels – This game is on Game King 6.3. IGT Five Times Pay 5 reels – This game is on the Game King 6.3. IGT Fortune Cookie – This game is on the Game King 6.3. IGT Gopher Cash – This game is on the the Game King 6.3. IGT Leopard Spots 9 reel – This game is on the Game King 5.0, & Game King 6.3. IGT Lion Fish – This game is on the Game King 3.0, 4.3, and Game King 6.3. IGT On the Prowl – This game is on the Game King 3.0. IGT Ring’em Up 9 reel – This game is on the Game King 6.3 . IGT Spin Poker – This Game is on the All Star Poker and Super Star Poker. 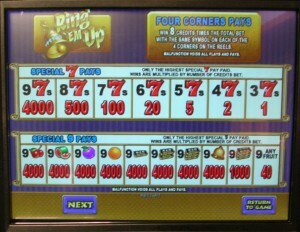 IGT Super 8 Line – This Game is on the Game King 3.0, and Game King 6.3. IGT Super 8 Race – This Game is on the Game King 3.0, Game King 5.0, Game King 6.3 and Super Star Poker. IGT Texas Tea 9 reel – This game is on the IGT Game King 6.3. IGT Wild Bear – This Game is on the IGT Game King 6.3. IGT Wild Flower – This game is on the IGT Game King 3.0. IGT Wolf Run – This game is on the Super Star Poker.